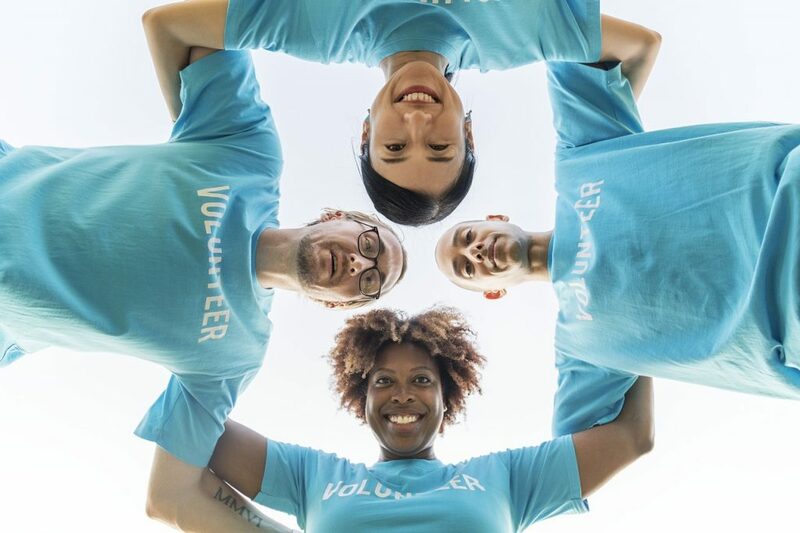 Twitter, Facebook, Pinterest, Instagram… there are so many social networks that you can use to engage with your customers and promote your brand but you can end up spending hours tweeting, sharing, liking and following others instead of focusing on your business. And this is crucial especially if you are a self-published author, a self employed freelancer or a one band band entrepreneur for a limited company. 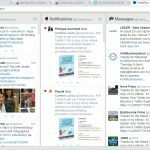 These are my Top 5 the Best Social Media Management Applications I am using at the moment. Some frequently, some occasionally. HootSuite is the world’s most popular social media management app and is free for up to 3 social network accounts. 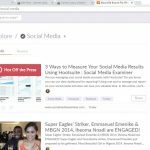 I use this application when I want to share the same content on Twitter, LinkedIn and on my Facebook Author page, but you can add other social networks. The system’s user interface takes the form of a dashboard and supports social network integrations for Twitter, Facebook, LinkedIn, Google+, WordPress. Additional integrations are available via HootSuite’s App Directory, including Instagram, MailChimp, Reddit, Storify, Tumblr, Vimeo and YouTube. 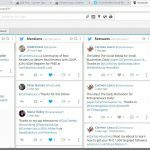 HootSuite allows you to organise what is coming into your accounts in streams – Home, Mentions, Messages, My Tweets, Retweets, Scheduled and New Followers. With this app you can shrink the long URL link to be easier to tweet and you can then track the results using the Analytics feature. You can monitor the success of your social media efforts with branded, printable reports. 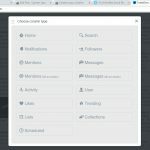 If you have multiple accounts, HootSuite Pro will work best for you because you can connect with more than 35 popular social networks. Free 30-day trial. If you only have one social media account and that is Twitter, than TweetDeck will do the job for you and it’s free. You can add different columns on your dashboard. 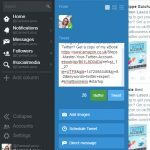 TweetDeck will allows you to search tweets by a keyword or a hashtag and to see all your notifications, direct messages and who followed you. When someone says hello to you it’s always polite to answer back, so please make sure you follow them back if the accounts are relevant to you and your business. You can also use TweetDeck to tweet and schedule tweets. 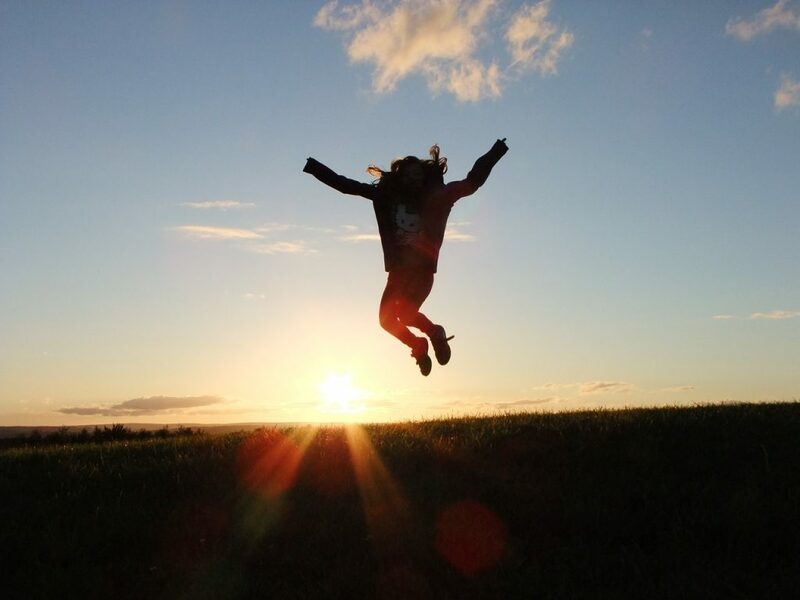 Buffer is the best application for scheduling your tweets. I have just started to use it and I am very pleased with the results. It’s saving so much time and you only have to work once to write tweets and to find valuable content to retweet. 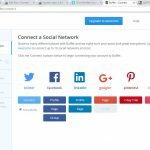 You can connect the most important social networks – Twitter, Facebook, LinkedIn, Google+, Pinterest and Instagram. 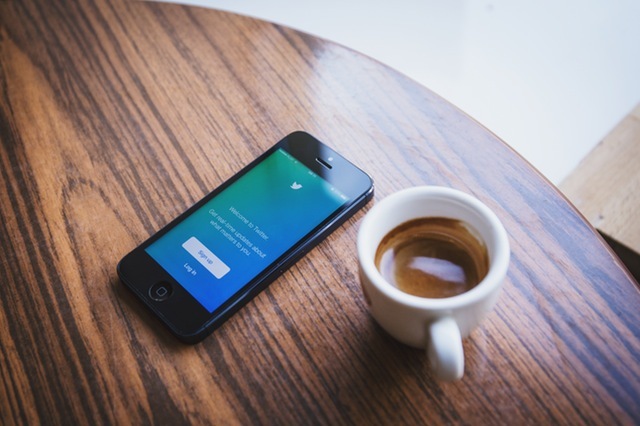 Since Twitter is a fast moving stream, with new content pushing older content down the pipe, you have to tweet at least five times a day to get noticed and Buffer helps you schedule your tweets. You just have to choose your timezone and schedule your times and Buffer will release the tweets when the time comes. 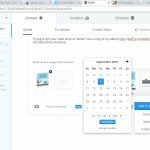 Do you want Buffer to optimise your schedule? 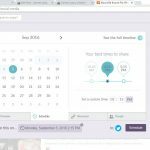 Try their Optimal Timing Tool to discover what are the best times to share content on social media. This is more a Social Media Engagement Application that will help you manage your followers. This works with Twitter and Instagram. You can check who followed you, who unfollowed you, inactive followers and non followers. You can even copy followers from another account. 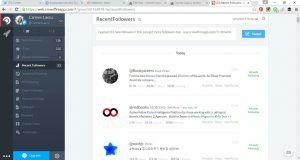 If you are getting more than 50 followers daily it may get quite tricky to personally send a direct message to all of them so here is where Crowdfire comes handy – you can add an automatic direct messages which will be sent to all your new followers. 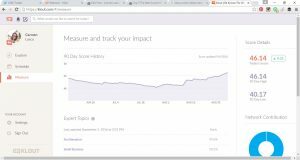 Klout will help you share interesting and relevant content from anywhere on the web and then track its impact on your Klout Score. Just go into Explore and choose your preferred topic to bring up relevant news. 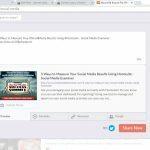 Klout analyse the world’s largest collection of cross-network social data to make personalised content recommendations that help you become a better content creator. By sharing this content, you can enhance your reputation and grow your online influence. The Klout Score is a number between 1-100 that represents your online influence, which is defined as your ability to drive action. When you share something on social media or in real life and people respond, that’s influence. The more influential you are, the higher your Klout Score. You can check your score on the ‘Measure’ tab, located on the left side of the dashboard.